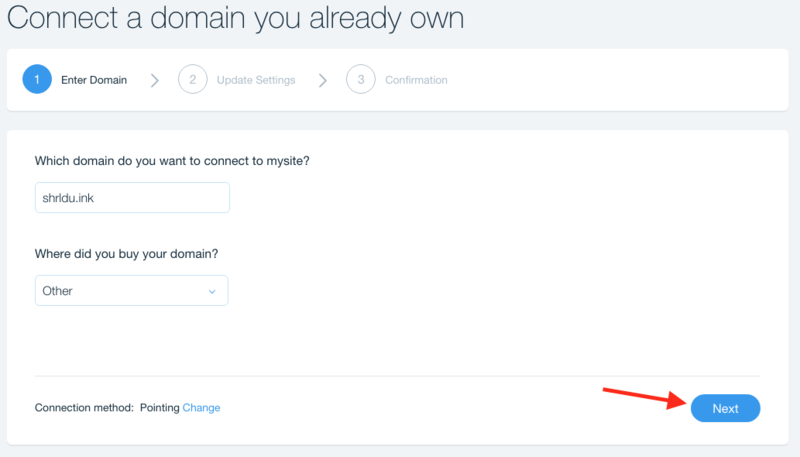 If you already have a site built at Wix, you can use our Quick Connect feature to link it to your domain. In order to link your domain to your Wix site, you first need to prepare Wix for your domain. 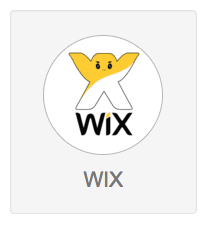 If you don’t already have a Wix account, get one at wix.com. If you already have an account you can skip this step. 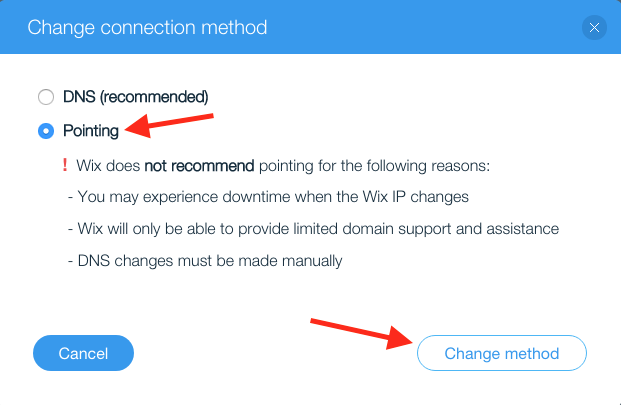 If you're currently using Wix's free plan, you will need to upgrade to a paid plan before you can connect your domain to your Wix site. Log into Wix if you haven't already. 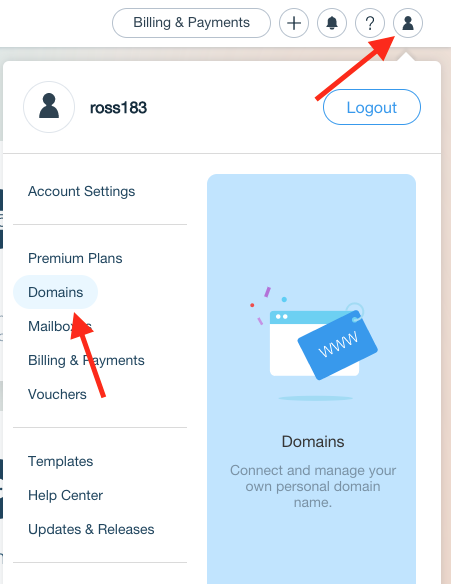 Click the user panel icon in the top right: then click "Domains"
When the window that asks you to choose a domain to save your site, select the “connect your own customized domain” option and click the “save & continue” button. 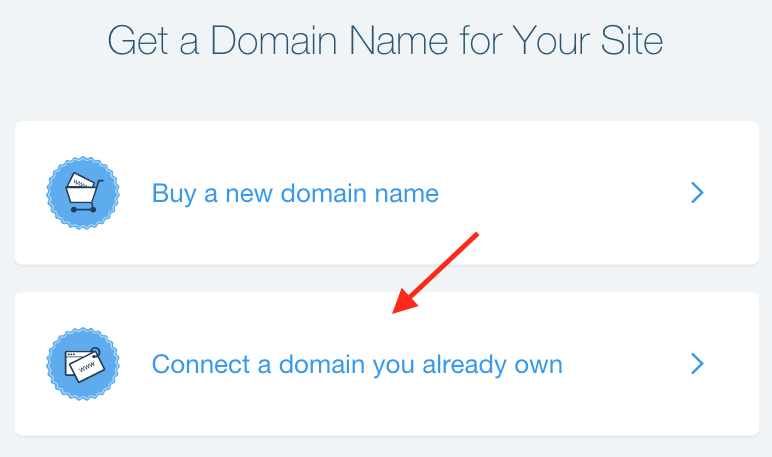 Type in the name of your domain and select "Other" when asked where you purchased it. "Connection method: DNS (recommended)." We don't want that method, so click "Change." The "Change connection method" box will appear. Click "Pointing." A scary warning will appear, but you don't need to worry about it. Once you've changed the method to Pointing, click "Change Method." Verify that the Connection method is "Pointing" and click "Next." On the next screen, click "Next." 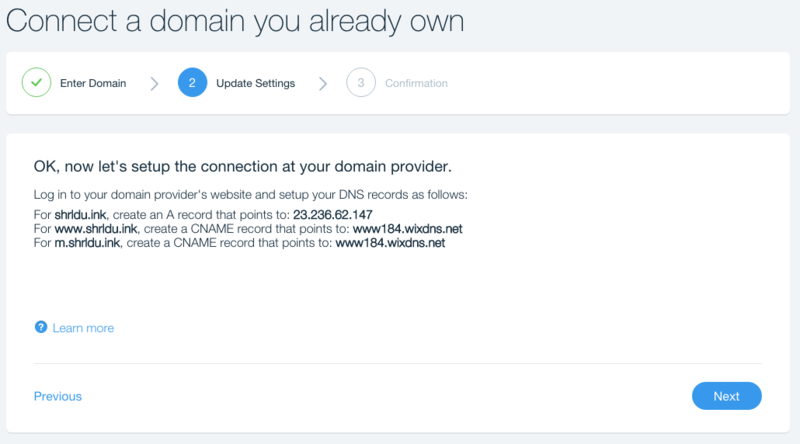 Now that you've prepared your domain, it's time to use Quick Connect to link your domain to Wix. In a new tab or window, log in to porkbun.com. 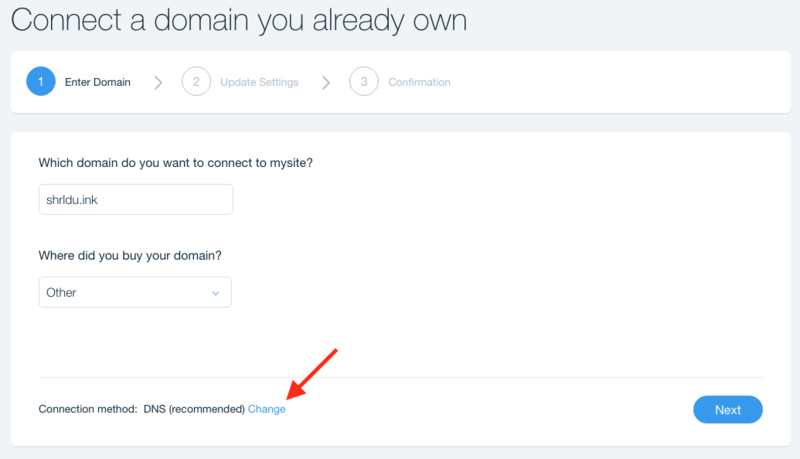 From the Domain Management page, click the Details button for the domain you would like to connect to and click the Manage link under Quick Connect. On the next screen, click Wix. Since you've already completed Step 1, click "Next Step."